Mainz is a team with a history of always reinventing themselves every season in the Bundesliga. This season is no exception. They are struggling to be consistent in every game, and keep the hopes of teeming fans alive as an integral team in the league. Anthony Ujah leaves Werder Bremen for China. Anthony Ujah has decided to leave Werder Bremen for Liaoning FC in China. Before the move, there were speculation about his dissatisfaction in Bremen as reported here. In the end, he settled for the wise decision of leaving Bremen to further his career. The seven times Super Eagles player of Nigeria had an offer from the Chinese club last season, but he refused the offer. Werder Bremen officials confirmed today that the deal is perfect. Although, according to Bremen, they had Ujah in their plans for the coming season, they had to seek an amicable way out to the satisfaction of everybody involved. The reported transfer fee according to German media was in the neighborhood of 13 million Euro. Ujah came to Werder Bremen from Cologne for 4,5 million Euro. 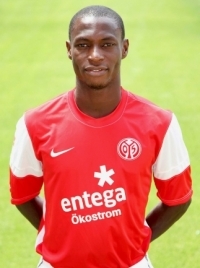 Ujah joins a fellow African and former Werder Bremen team mate,Assani Lukimya, who left last season. The deal is a win-win situation for Ujah and Werder Bremen. I hope with more money and playing time, Ujah can find his way in to the Super Eagles again. Should Ujah stay or leave Werder Bremen ? Sambou Yatabaré will decide his future soon. Anthony Ujah’s assist in the last game of the Bundesliga season against Frankfurt, saved Bremen from relegation. Unfortunately, there are numerous speculation in German press about what happens next to his career at Bremen. Will he stay or go ? Ujah has had a difficult time this season as he became a joker during the second half. The coach of Bremen, Victor Skripnik, adopted a 4-1-4-1 system that favored Claudio Pizarro. Pizarro is important for Bremen. He did score some important goals. In fact, the Werder Bremen management have extended his contract for one more year. The question that has not been answered is: what happens to Ujah ? Will he be content to stay on the bench this coming season ? Ujah said in an interview with Kreiszeitung “i want to stay” He also said that he is willing to learn from Pizarro. Adding that although, there was a mega deal from China during the winter break, he wants to stay in Bremen. However, things have changed in Bremen. Thomas Eichin is no longer the sports director and there is a report of a new beginning with the possibility of players for sale. This headline, “will there be a big change in the team ?” has been in the news during this transfer season. Apparently, Ujah is not satisfied.SportBILD wrote that Ujah might be sold to China or England. Klaus Filbry, head of Business for Werder Bremen stated that there were no plans to sell all the players. Ujah scored 11 goals this season. If he stays in Bremen, he has to contend with living in the shadow of Pizarro for another season. Is it in the best interest for Ujah? I doubt it. He has to go to a club, where his services are needed and appreciated. He needs regular playing time, to be considered for the Nigeria Super Eagles. Therefore, i would suggest for him to leave. Werder Bremen needs a striker real fast. Is Paul Onuachu the answer ? Anthony Ujah loves the beautiful game and he is no stranger to pressures as a striker to score goals.He has proved during his stint with Cologne that he can rise to the occasion in the Bundesliga. However, in his new club this season,Werder Bremen,are struggling to avoid the relegation zone. Therefore, the match yesterday in WWK Arena between FC Augsburg and Werder Bremen, was an important match for both teams. Prior to the match against Augsburg during the week, Ujah picked an injury in the ribs.He was almost ruled out of playing against Augsburg. However, he was only able to play the first half against Augsburg.Ujah is a player that loves to give his all on the pitch. Interestingly,his rival,Claudio Pizarro, scored the opener against Augsburg and Bartels also made it two goals for Bremen.The match ended 2-1 in favour of Bremen. Ujah was happy for Pizarro for scoring his first goal for Bremen on the pitch.It is a reminder that Bremen can go places through team work and football cohesion. Ujah’s goal for Bremen this season,”individually, i want to improve as a player and also to help the team with my goals,to give 100% offensively, defensively in every situation.”Ujah could be nicknamed ‘Mr 100%’. Recently,Ujah, has not received an invitation to play for the Super Eagles. He believes, by working hard on the pitch for Bremen, might warrant a call up from the Nigerian coach, Sunday Oliseh. Papy Djilobodji banned for two games and fined after slit-throat gesture. Salomon Kalou is still important for Hertha Berlin.